BEHOLD! : Oddities, Curiosities and Undefinable Wonders wins Bram Stoker Award! So excited to announce that BEHOLD! : Oddities, Curiosities and Undefinable Wonders (Crystal Lake Publishing) has won the Bram Stoker Award for Best Anthology. Doug Murano was an excellent editor, always a pleasure to work with him. My story “Hiraeth” was really out there, and Doug worked with me on it, and even accepted the EDGIER version, encouraging me to push it, and take chances with the narrative. It was also the last story in the anthology, which to me, is another honor. Featuring Clive Barker, Neil Gaiman, Ramsey Campbell, Lisa Morton, Brian Kirk, Hal Bodner, Stephanie M. Wytovich, John Langan, Erinn L. Kemper, John F.D. Taff, Patrick Freivald, Lucy A. Snyder, Brian Hodge, Kristi DeMeester, Christopher Coake, Sarah Read and Richard Thomas. Foreword by Josh Malerman. Illustrations by Luke Spooner. Cover art by John Coulthart. I’m very excited to announce that BEHOLD! Oddities, Curiosities, and Undefinable Wonders (edited by Doug Murano, at Crystal Lake Publishing) is now out! My story, “Hiraeth” is in here, and I think this is really going to be one of the best anthologies put out this year. Doug has been doing excellent work. I turned in TWO versions of my story, and asked Doug which one he wanted (if he wanted EITHER one, LOL) stating that one was riskier, might be more divisive. That’s the version he took. Who all is in here? Let me list these amazing authors: Clive Barker, Neil Gaiman, Ramsey Campbell, Lisa Morton, John Langan, Brian Kirk, Hal Bodner, Stephanie M. Wytovich, Erinn L. Kemper, John F.D. Taff, Patrick Freivald, Lucy A. Snyder, Brian Hodge, Kristi DeMeester, Christopher Coake, Sarah Read and Richard Thomas (me!). With a foreword by Josh Malerman. And the reviews that are coming in are excellent, too, not just for the anthology, but also for my story, “Hiraeth” which closes out the book. Very exciting. Gutted: Beautiful Horror Stories is OUT! Last year I only wrote four short stories, one of which, “Repent,” made it into this amazing anthology, Gutted: Beautiful Horror Stories, edited by Doug Murano and D. Alexander Ward. This is the second anthology I’ve been in with these guys, the first being Shadows Over Main Street. Oh yeah, Clive Barker and Neil Gaiman? Nice. 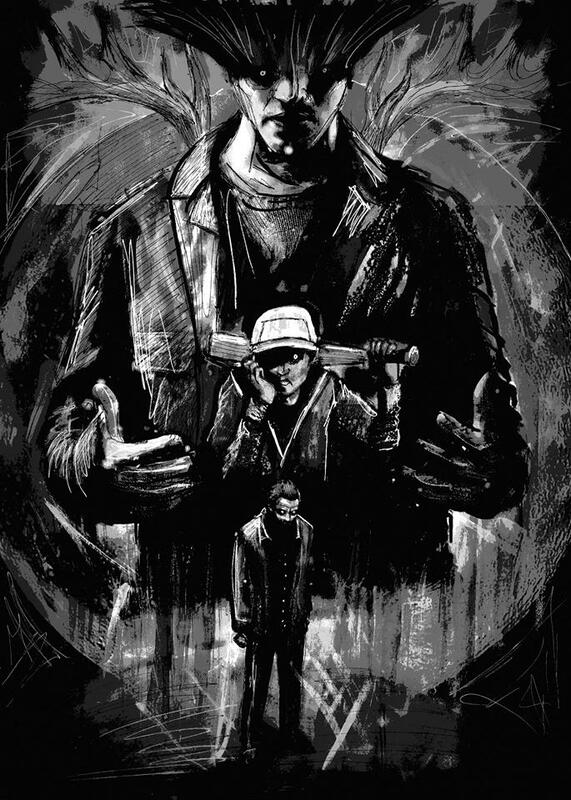 From Bram Stoker Award-nominated publisher, Crystal Lake Publishing, and the editing duo who brought you the best-selling and critically acclaimed small-town Lovecraftian horror anthology Shadows Over Main Street, comes Gutted: Beautiful Horror Stories–a disturbing journey into the beauty that rests inside the very heart of darkness. Awe meets ache. Terror becomes transcendence. Regret gives way to rebirth. Fifteen short stories and one poem span nearly every twisted corner of the horror and dark fiction genres: A woman experiences an emotional reckoning inside a haunted house. A father sees his daughter rescued after a cold case is solved, only to learn the tragic limits of his love. A man awakens a vengeful spirit and learns the terrible price of settling scores. A boy comes of age into awareness of a secret universe of Lovecraftian scale. A young woman confronts the deathly price of existence inside a German concentration camp during the Holocaust. And much, much more… Gutted: Beautiful Horror Stories features the most celebrated voices in dark fiction, as well as a number of exciting new talents: Clive Barker, Neil Gaiman, Ramsey Campbell, Paul Tremblay, John F.D. Taff, Lisa Mannetti, Damien Angelica Walters, Josh Malerman, Christopher Coake, Mercedes M. Yardley, Brian Kirk, Stephanie M. Wytovich, Amanda Gowin, Richard Thomas, Maria Alexander and Kevin Lucia. Edited by Doug Murano and D. Alexander Ward. With a foreword from Cemetery Dance magazine founder Richard Chizmar. 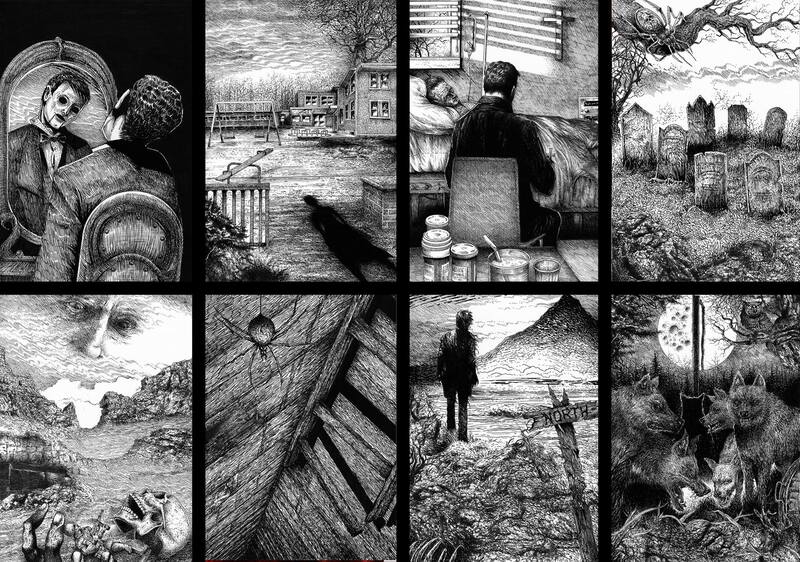 Interior art reveal: Artist Luke Spooner deftly captures the creeping dread and inevitable doom that propel my short story, “Repent.” Luke always manages to find the tension and heart of my work, thrilled that he once again is attached to my writing. He’s amazing, and will be a huge part of Gamut, too. Description: Awe and ache. Terror and transcendence. Regret and rebirth. Gutted: Beautiful Horror Stories is out in June! Featuring an all-star lineup including Ramsey Campbell, Clive Barker, Neil Gaiman, Paul Tremblay, John F.D. Taff, Lisa Mannetti, Damien Angelica Walters, Christopher Coake, Josh Malerman, Mercedes M. Yardley, Brian Kirk, Amanda Gowin, Richard Thomas, Maria Alexander, Stephanie M. Wytovich and Kevin Lucia. With a foreword by Cemetery Dance magazine founder Richard Chizmar. So, wow, this has been a long time coming. I’m a big fan of the work that Michael Bailey has been doing at Written Backwards (now a Dark Regions Press imprint). I was in Chiral Mad 2, and Qualia Nous, and if I can keep up with him, I hope to publish more stories with him in the future. I’m not only really impressed with the cover art, and interior illustrations by Glenn Chadbourne (see below), but by the extensive table of contents. My story, “The Offering on the Hill” (illustrated below, with the NORTH sign) is included in this wonderful anthology—over 6,000-words long, one of the longest stories I’ve ever written, and hopefully one of my best. In many ways this story is a bit of an homage to Stephen King and The Dark Tower series. I hope you’ll pick up your copy of Chiral Mad 3 today. I’m think it could be one of the best anthologies published this year. (NOTE: Don’t miss out on the $150 signed/limited edition. Everybody but King is going to sign it!) Introduction by Chuck Palahniuk, too!